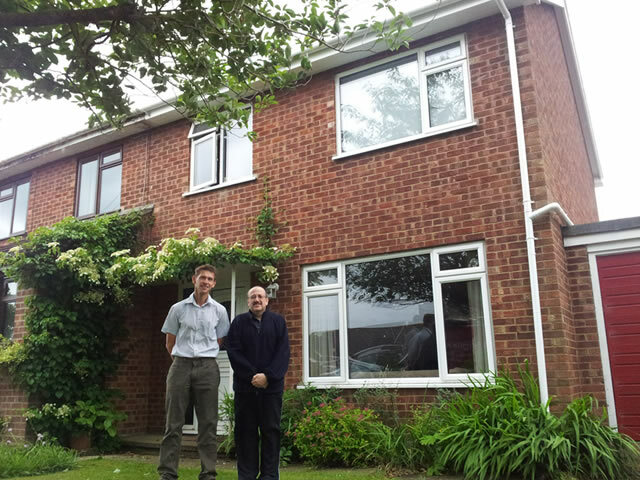 Anglia Roofline MD Simon Steward with happy client Mr Page. “It looked a mess! The rest of the house and garden are in pristine condition but the roofline was, basically, tatty! DIY and working at heights is not my thing… the thought of going up a ladder to even attempt to sort it out was not something I wanted to even contemplate! 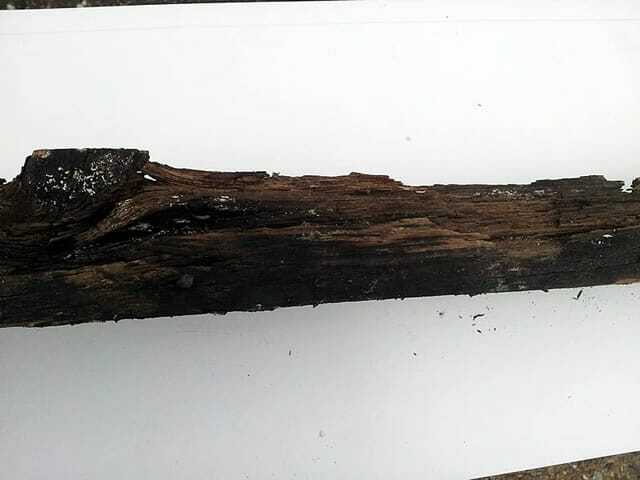 I did think about getting someone in to clean it up and paint it, but then I saw the wood under the flaking paintwork was starting to deteriorate. At some stage it would definitely need replacing, but I kept putting it off. When you (Simon from Anglia Roofline) knocked on the door and explained that replacing the whole lot with easy-to-care-for uPVC would look good and would mean I wouldn’t have to bother with it again for a long time, I decided to get a quote. I checked the testimonials that your previous customers left on the Referenceline website – very impressive. 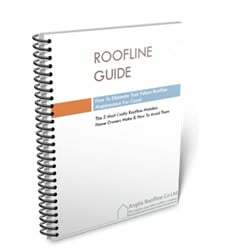 The final deciding factor for me was your insured 20 year guarantee – even if Anglia Roofline goes out of business, my guarantee is still valid. It wasn’t a cheap quote, but when I compared it to the cost of replacing the timber, having maintenance work done every 4 years and the extra expense of scaffolding, it turned out to be the most cost effective, long term solution at a fair price. I was impressed with the quality of the materials you supplied, the quality of the work and also the Professional attitude of your workforce throughout the three days they were on site. And the finished job is wonderful. No more cringing when I look at our roofline”. Before & After Photos from the Page Property. 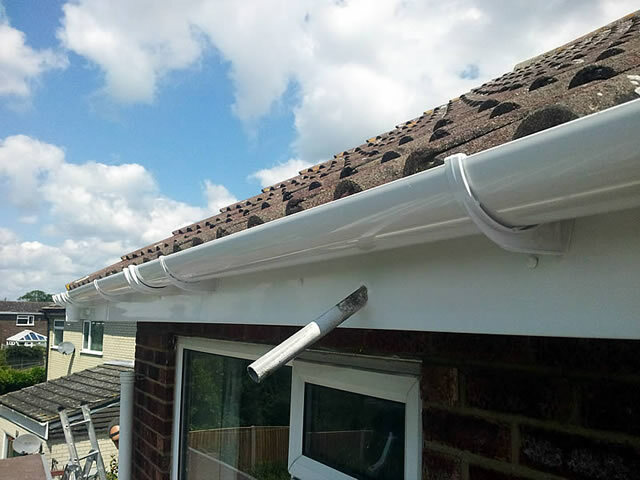 If, like Mr and Mrs Page, you have been putting off roofline repairs, and lets face it there is never a right time to do the work, why not call me to arrange a FREE no nonsense quotation for replacement fascias, barge boards, guttering and soffit installation that is valid for nine months: 01603 261 481.